The school is built around the former mansion-house of the Dukes of Somerset and around the Marlborough Mound, a Neolithic edifice dated at 2400 BC and whose Norman castle saw medieval Kings hold court. The college is less than 80 miles from London and has excellent transport links to the Midlands, South and West. 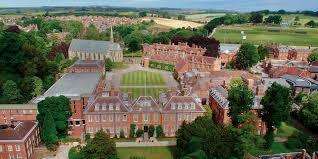 In 1968 Marlborough was one of the first of the traditional boys’ boarding schools to admit girls into the sixth form. In 1989, the College became fully co-educational with the admission of girls into the lower school and with the establishment of the first of the all-girl boarding houses.